Follow Goat to get news updates and products on your homepage. Goat is being followed by 0 people. 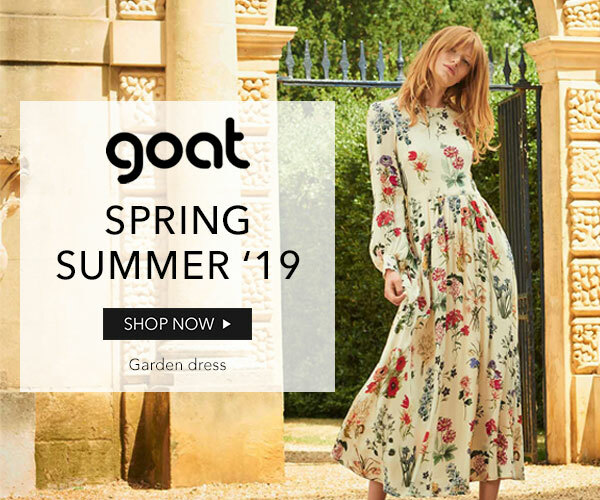 Goat has 2 stores in the UK in our database. Goat is currently ranked 964 in the directory. Last month its rank was 2357. 162 products added to Goat 48 days ago. Updated The link Goat was updated 59 days ago. 162 products added to Goat 79 days ago. A Special Offer was added for Goat: Save Up To 70% Off In The Goat Fashion Aw15 Sale 1188 days ago. Updated The link Goat was updated 1190 days ago. New A store was added for Goat in Mayfair 1384 days ago. New The link Goat was added 1384 days ago.